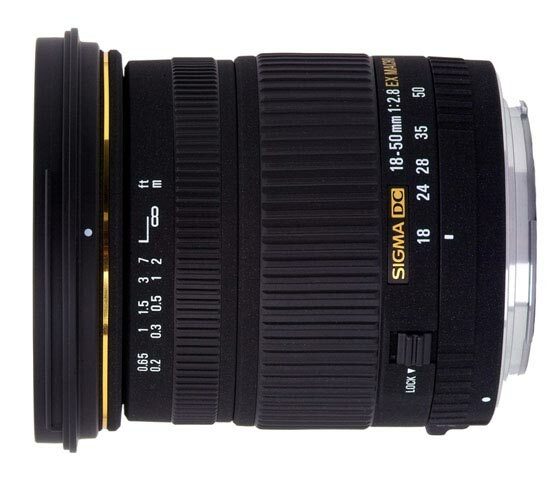 The lens has a focal length of 18-50 mm. Since the lens is designed to be used on a camera with smaller sensor ('APS-C') the focal length will be equivalent to 29-80 mm if you have a Canon camera or 27-75 mm if you have a Niko camera. A feature worth commenting, which is also related to lens brightness, is that the brightness and maximum aperture-value remains constant regardless of focal length used. This makes it easier for you as a photographer. No matter if you are have the focus ring and focal length at 18 mm or at 50 mm the aperture value can be f/2,8. A minimum focusing distance of 8” & a maximum magnification factor of 1 to 3 make this excellent for up-close subjects "